KALAMAZOO, MI — Immigrations and Customs Enforcement performed 466,374 removals of people over a two-year period through Fiscal Year 2017, ending in early October, and removals of Polish citizens make up a small fraction. 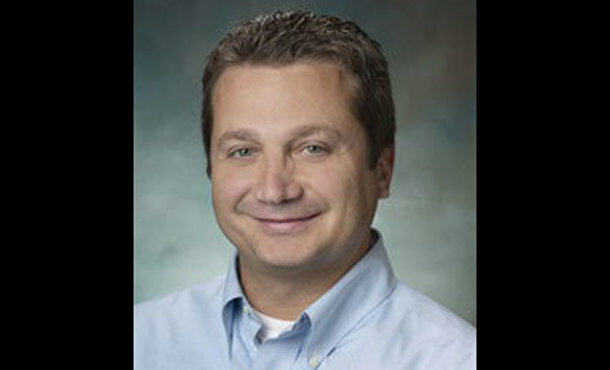 Dr. Lukasz Niec, a physician at Bronson HealthCare, was arrested last week and placed in jail in Calhoun County. Family and friends fear he could face deportation to Poland, where he came to the U.S. from at the age of 5. Removals by ICE of people with Polish citizenship accounted for 235 of the total number of ICE removals, or about .05 percent, according to ICE’s annual report covering fiscan years 2016 and 2017. Mexico, with 278,586 citizens removed, was highest on the list, followed by Guatemala with 67,510, and Honduras with 44,375, ICE reported. Through an executive order and accompanying memonderum issued in early 2017, President Donald Trump expanded ICE’s enforcement focus to include removable aliens who have been convicted of any criminal offense. “ICE no longer exempts classes or categories of removable aliens from potential enforcement,” the document states, referencing Trump’s directives. The policy change is reflected in the 2017 fiscal year statistics, covering Oct. 1, 2016 through Sept. 30, 2017, which show an increase in enforcement actions, ICE said. ICE Enforcement and Removal operations arrested 105,736 criminal aliens in FY 2017, a 12 percent increase over FY 2016, the agency reported. An administrative arrest of a criminal alien is the arrest of an alien with a known criminal conviction. An ICE spokesman said Neic is eligible for removal proceedings because of two convictions on his record from 1992. Niec’s wife, U.S. citizen Rachelle Burkart-Niec, said she thinks his arrest is wrong because the two misdemeanor convictions happened decades ago, when her husband was 17. Besides the two convictions, ICE said Niec most recently came under agency scrutiny because of 18 encounters with local law enforcement. Kalamazoo County District Court records show Niec has 22 cases generated from 18 contacts with police. Violations include four violations for having no proof of vehicle insurance, seven speeding tickets, failure to change addresses on his license, causing an accident, careless driving, a seat belt violation, driving without due care, and parking near a fire hydrant. Niec pleaded guilty to a 2008 operating impaired by liquor offense in Kalamazoo County. He completed probation, and the conviction was set aside, the plea withdrawn and the case dismissed, as part of a plea agreement. He was charged with domestic violence in 2013 and a jury found him not guilty after a trial, records show. The ICE report shows driving under the influence was the top criminal charge category associated with removal proceedings in FY 2017. Dangerous drugs, immigration, traffic offenses and assault are among the next most common categories, considering the combined total number of criminal charges and criminal convictions of people removed, according to the ICE report. People with “stolen property” charges/convictions total 4,344, while people with crimes categorized as “damage property” total 4,102, the ICE statistics show. Niec, now jailed for a week, is awaiting a hearing before a judge, and his family is doing what it can to expedite it. Susan E. Reed, managing attorney of the Michigan Immigrant Rights Center in Kalamazoo, said it has been taking several weeks to get a bond hearing in ICE cases. “This is the longest wait for bond hearing I’ve seen,” she said on Monday. The Detroit Immigration Court hears all bond cases and defendants appear via televideo from one of four facilities that house ICE inmates in Michigan, including the Calhoun County Jail, she said. The MIRC has received questions about Niec’s case, Reed said, though it is not handling the case. She said the case shows how noncitizens can be vulnerable to deportation at any time. “For the last several decades, Congress has stripped a lot of the discretion out of immigration enforcement,” she said. Under the Obama administration, ICE operated by rigid definitions of priorities, Reed said, and would take into consideration certain factors about a person while processing a case. Under the Trump administration, that’s changed. “Everyone is sort of on notice now,” she said, and there’s nothing built into the immigration system that says any offense was too long ago. Niec, who was arrested Jan. 16, remained jailed Tuesday, Jan. 23, according to Calhoun County Jail staff. He was moved to an area where he was allowed access to television, according to his colleague at Bronson, Penny Rathburn. Rathburn, who has been collecting letters from coleagues in support of Niec to be forwarded to an immigration judge, said she had about 60 letters by Tuesday morning. A man charged Wednesday with driving under the influence and possession of methamphetamine by the Tennessee Highway Patrol after a traffic stop on Baileyton Road had a first appearance Friday in General Sessions Court. Richard Lynn Greenwell, 37, of 1409 Daisy St., had a hearing date of Feb. 12 set. Greenwell was charged with DUI, felony possession of methamphetamine and possession of drug paraphernalia. 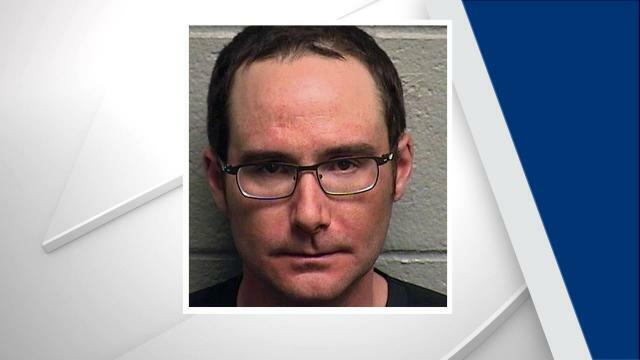 Greenwell was also cited for speeding after being pulled over while driving a Ford brush truck owned by Wolf Tree service, Trooper Vince Mullins said in a report. Greenwell was speeding and allegedly crossed the road center line three times. He “was slow to pull over and appeared impaired by drugs,” the report said. Greenwell did poorly on field sobriety tests. A search of the truck turned up a small plastic bag containing about two grams of suspected methamphetamine and another plastic bag containing a smaller amount of suspected meth, the report said. Also found in the truck was a torch-style lighter and a sunglasses case that held a glass pipe with white residue, a cut straw and “two implements to crush drugs,” the report said. Bond for Greenwell was initially set at $52,000.